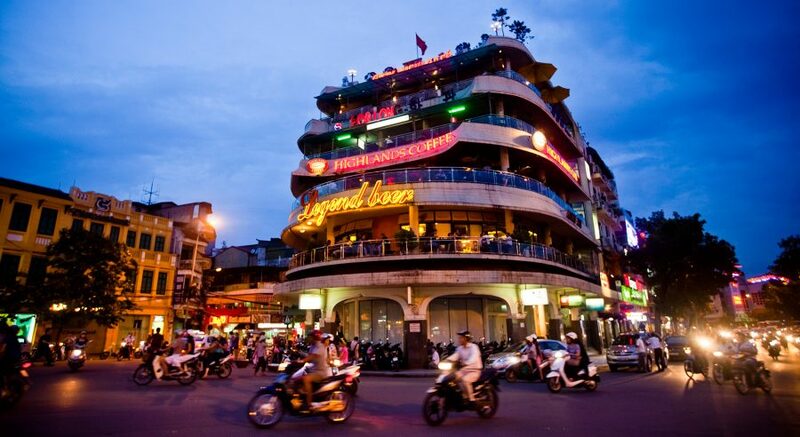 Hanoi Sightseeing & Shopping in 6 day – Charming Vietnam Travel: Daily Tours & Holiday Packages. Arrival at Hanoi’s Noi Bai International Airport, collect your luggage process through custom. Your private tour guide and driver from Charming Vietnam Travel will be waiting for you outside the baggage claim/ custom area to transfer you in a private vehicle to the hotel in downtown. While every effort is made to have your room available upon arrival, check in time is at 02:00pm; your room may or may not be ready before this time. Your tour guide will provide additional details regarding your stay, and you will be able to ask any questions you may have. Have a rest before the exciting evening food adventure and nightlife experience at 17.00. Your private guide will collect you at the hotel and take you out for the Evening food tour. 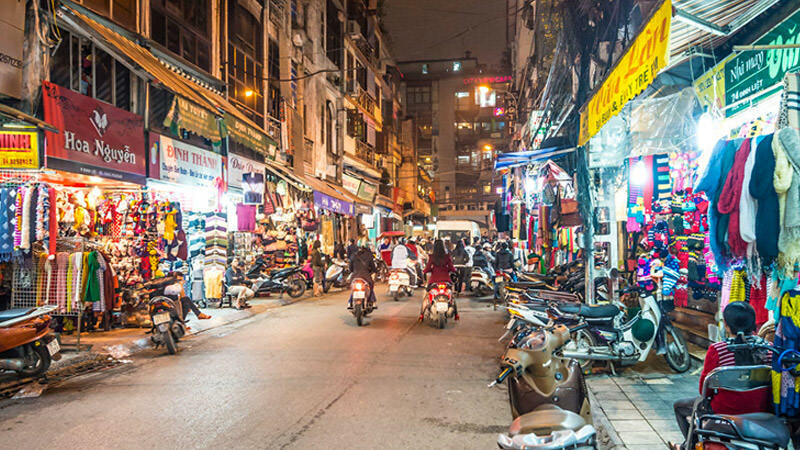 We wander past street stalls and quiet residential lanes where we can observe local life that has changed little since Hanoi was founded over 1000 years ago. This will bring us lots of sights and sounds of the evening in Hanoi. During our walk we will have plenty of opportunity to interact with the locals and sample various street food such as Banh Cuon (Vietnamese Steam Rice Rolls), Banh My (Vietnames baguettes), Nom Du Du (papaya Salad with beef), Bun Cha (grilled pork with vermicelli), Bia Hoi ( fresh/ draughft beer) and especially the amazing Egg Coffe. You also venture down a small alley to join in the local tradition of feasting on fresh fruit served in a cup and smothered with crushed iced – this specialty is one not to be missed! Have breakfast before half day trip to Bat Trang & Van Phuc handicraft villages. Arrive your hotel at 07.00 PM. Arriving Tuan Chau marina at 12.00 - 12.30. Welcome aboard the cruise. Refresh with our welcome drink. Meet the captain, crew in the cruise briefing. Check into your cabin. Time to refresh and unwind. Set sail as lunch is served. Join us for a typical local lunch in the dining room or at the outdoor dining area. 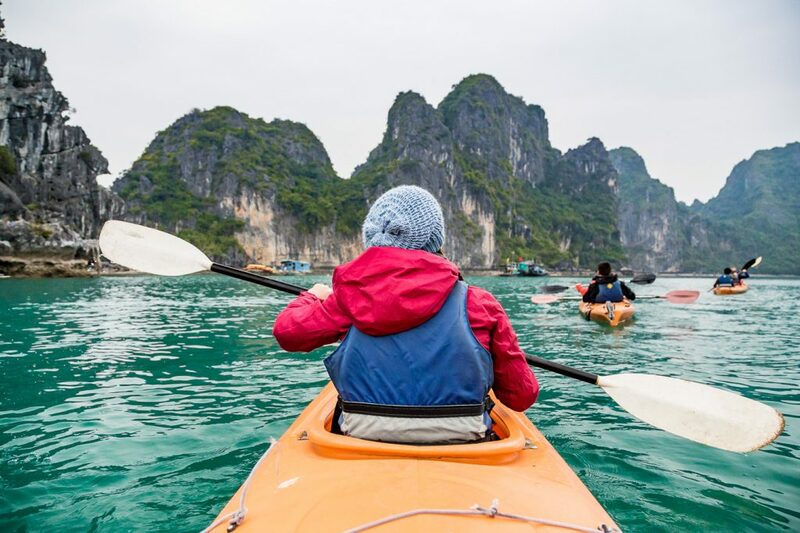 Mingling yourself in the stunning views of the Bay and its dramatic limestone islets as we sail through the calm emerald waters heading to Maze cave. In the late afternoon we arrive at Amazing cave (hang Sửng Sốt), explore the cave and find out how the cave was named Amazing. Reach to the peak point of the cave for a breath taking panoramic view of the bay. Back to the boat, our cruise will take you to a stunning tranquilizing isolated lagoon for swimming or just simply relaxing on the boat with our spa service and mingle in the picturesque seascape. Heading back toward the sleeping area. Local breakfast is served onboard. 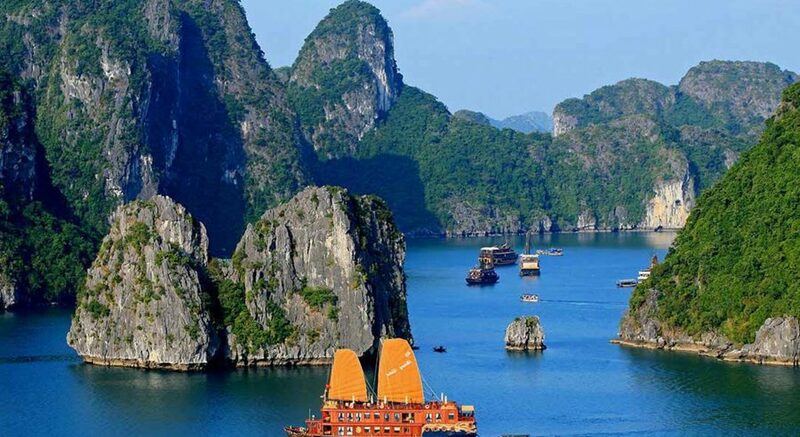 Mingling yourself in the stunning views of the Bay and its dramatic limestone islets as we sail through the calm emerald waters heading to Luon Cave (Hang Luồn). 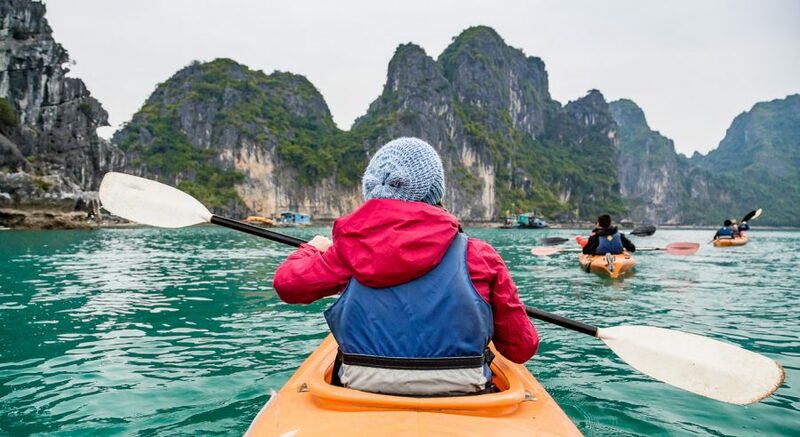 Take your option either exploring the cave yourself on kayak or comfortably on bamboo boat rowed by the locals. Check out the cabins at 9.00AM, at your leisure while your cruise taking you pass by other beautiful highlights in the bay. You will join a short class of cooking demonstration, learning how to make spring rolls before an early lunch is served. Return to the shore and disembark from the cruise as our crew say farewell. 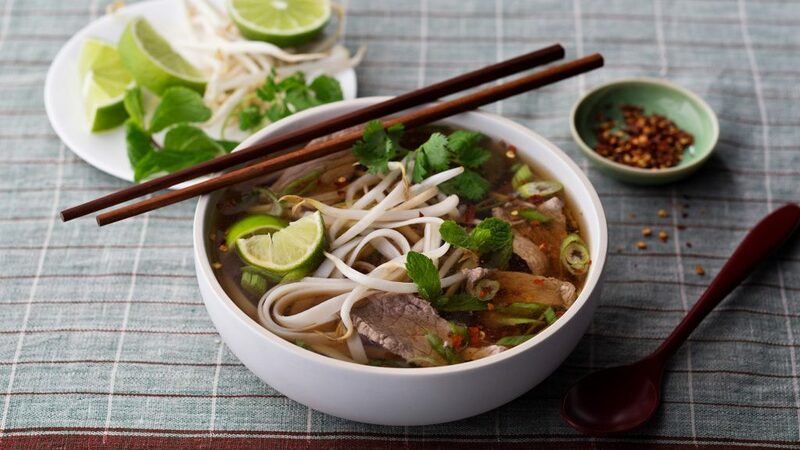 Wind your way back to Hanoi with a stop en route for refreshment. 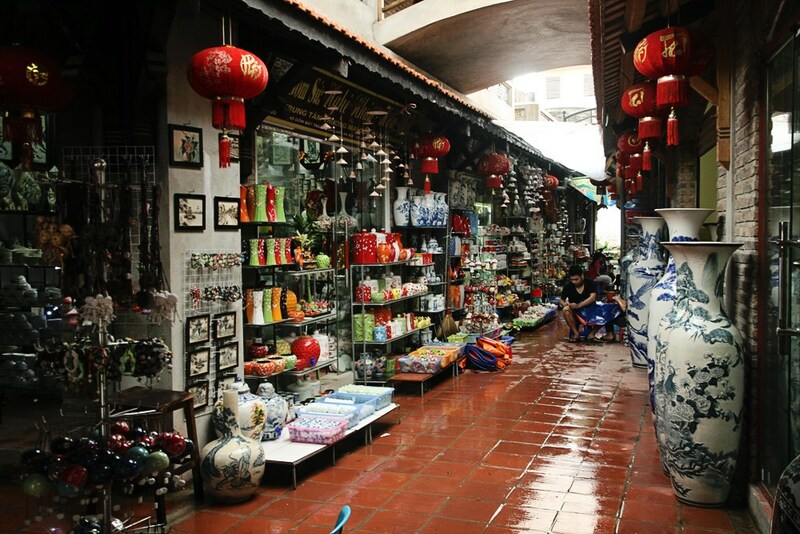 Return your hotel for some rest before your guide take you on a walking and shopping tour of the Old Quarter. 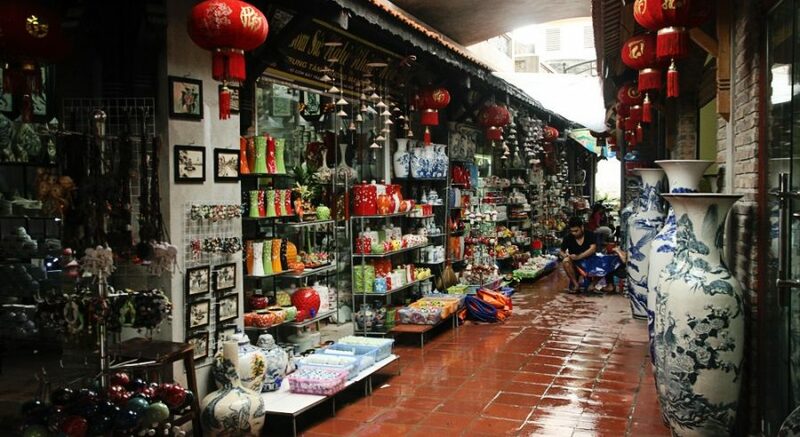 Along the iconic Hoan Kiem lake and the most exciting shopping part of the Old Quarter including Hang Gai– Hang Bong – NhaTho street, the best place to pick up some high quality, fashionable silk items, lacquer ware, embroidered goods, and ethnic-minority crafts; Hang Dau (Shoes street), where hundreds of shoe-sellers lining. Most of the footwear consists of brand names made at Vietnamese factories that have been rejected as seconds, making them a great purchase with usually only a small imperfection. There are also plenty of fake North Face, Samsonite bags where Hang Dau Street meets Lo Su.